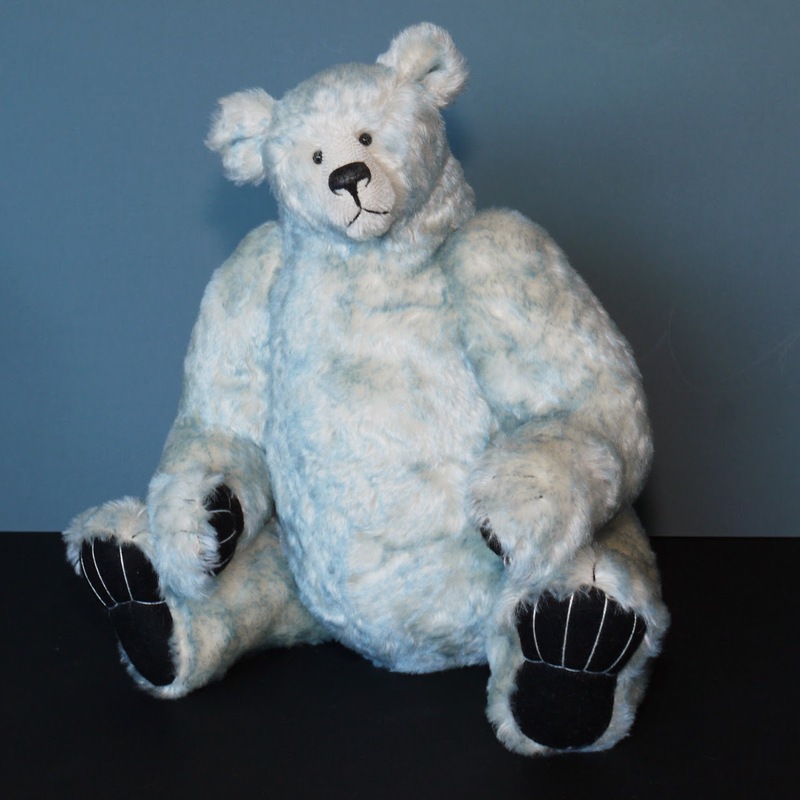 I have a number of bears which I have agreed to re-home on behalf of a long standing customer. They are from a very large collection and have all been kept in specially made cabinets since new. I am not sure about taking this on but when the box arrived I was intrigued to see some old friends, and as this person was so keen he very often got to my table first and picked out some interesting bears. Including 2 very small ones which I have rarely made. Full details are on my website but I thought I would just post some pictures here. 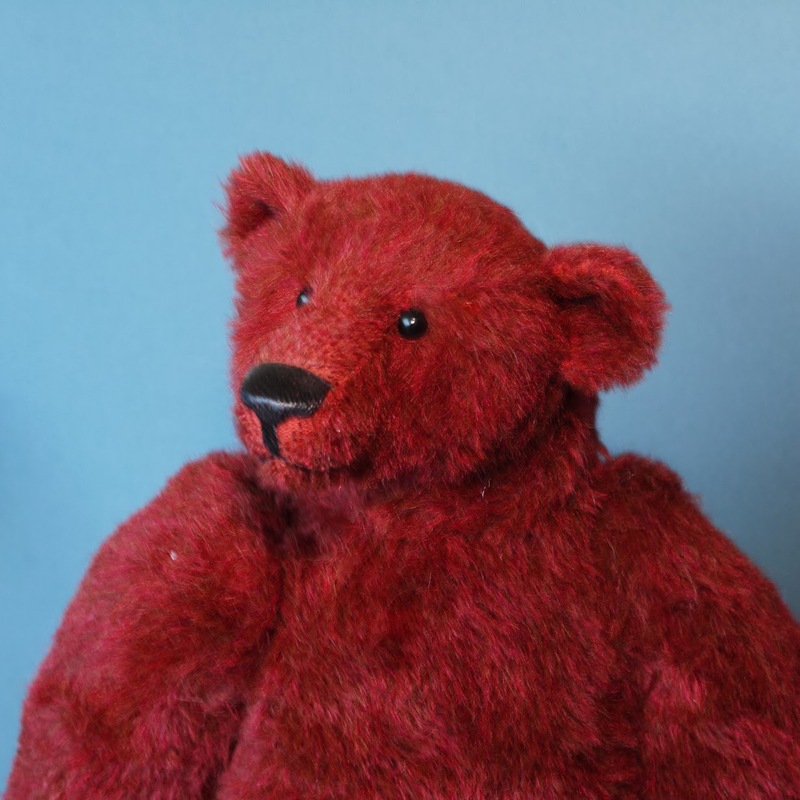 I wasn't sure how to describe these bears, re-homes, orphans or the like, or even approved used, approved pre-owned. However they are described leads to the same conclusion, the owner wanted to sell them and seemed unable to organise doing so through the usual internet facilities, I didnt really want to get involved but on reflection I thought perhaps some of my current mailing list collectors might be pleased to have a chance to see them. 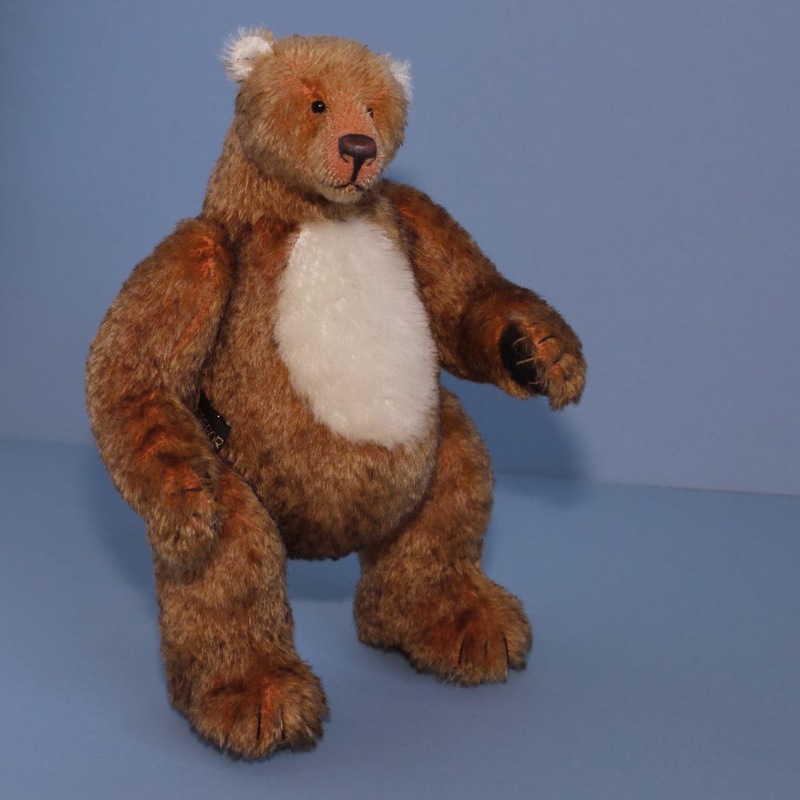 The earliest is from 1999 and they are not in my current style and proportion but very much representative of my style from that era, I particularly like the very stocky caricature grizzly bear. 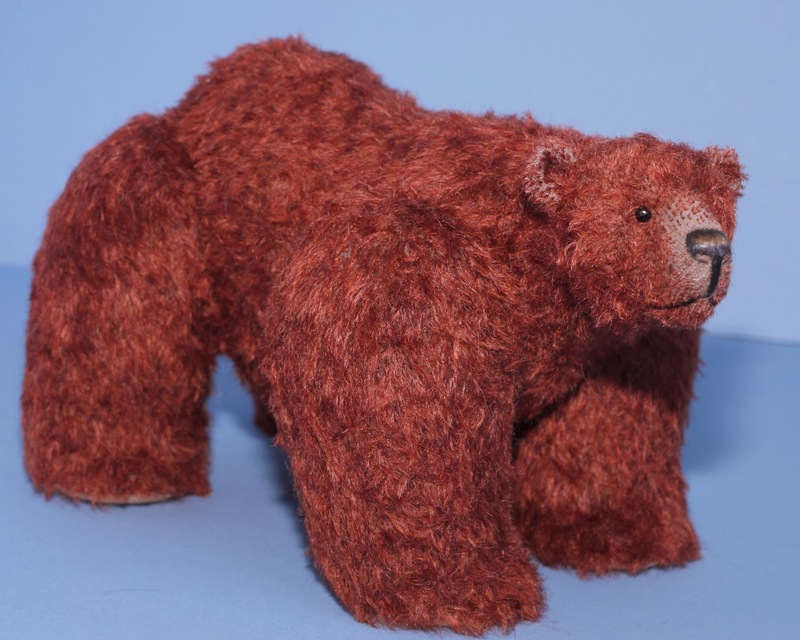 Being re-homes I find it quite difficult to price them compared with new bears and as such I will be prepared to consider offers depending on the response, they are all different of course and some very unusual. Yes, I will be keeping a commission sum for myself from the sale which helps me as well as giving some much needed assistance to the former owner. I have completed the first bear of the New Year, normal hours seem to have resumed everywhere so 2014 is well under way. I have never really taken much notice of New Year Resolutions, I am a creature of habit and it has usually taken more than a date change to make me change my ways. At the moment I am looking ahead at a variety of hurdles, I have some stark choices to make about what I do for the future. Last year I lost my puppy Buster, the loss of a youngster and the circumstances of his death is still very much with me, but he was beautiful, brave and magnificent; it was a privilege and a joy to have owned him and I will treasure my memories of him and will always be glad and proud that he was part of my family. I had to say good bye to Posh in September, such an affectionate and precious old lady, I console myself with the fact that she achieved a very grand old age, I miss our gentle strolls across the village to watch the world go by. Hard as it was to lose them, have accepted as a dog owner that you have to learn to live with the sadness of saying good bye to them, but other things were going wrong too which were leading me to a sorry state of affairs and it is those other things which must now be faced. So now I am going to tackle 2014, Mr Bond is growing fast and Angus is watching over me with his usual close eye so with my beautiful doggies and the help and support of my friends I will make sure that I will turn things back in my favour. So that's it, that's my new year rumblings, last year stank, and not really for the obvious reasons, this year might end up with its own dramas but I think I have finally seen the light !